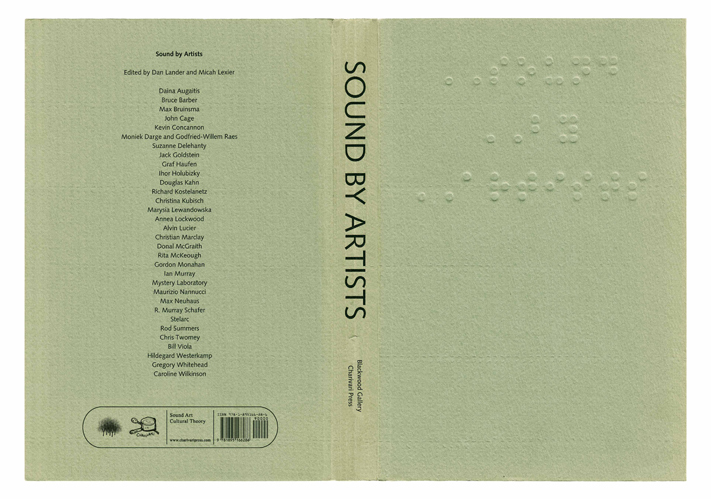 Essays on sound art by writers and artists including Bruce Barber, John Cage, Ihor Holubizky, Douglas Kahn, Christina Kubisch, Annea Lockwood, Alvin Lucier, Christian Marclay, Ian Murray, Rita McKeough, Max Neuhaus, and many others. The book contains 35 essays and projects as well as a 21-page discography of sound recordings by artists. Review: Vanessa Nicholas (MagMag, 2014).